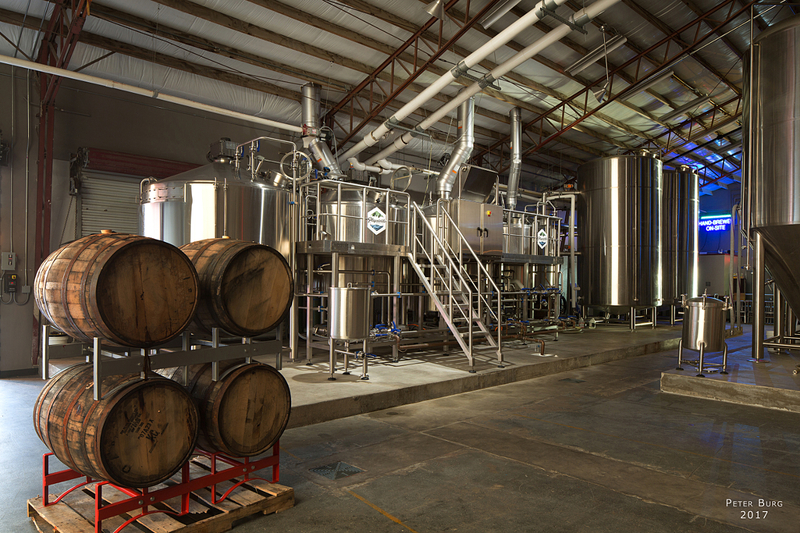 Playalinda Brewery at Brix Project – RUSH, Inc. RUSH Construction served as the Design-Builder for the transformation of this 1960s era lumber yard/building into a 16,250 s.f. 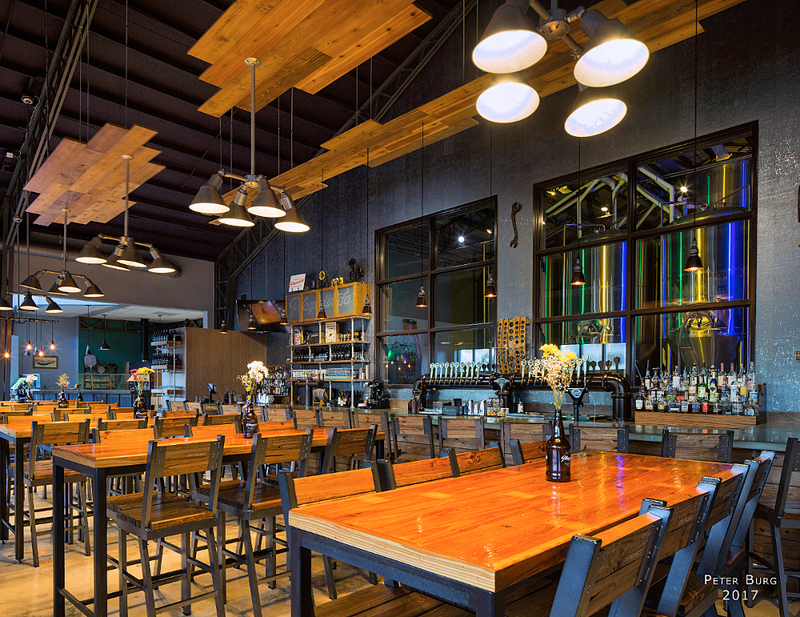 microbrewery and full-service restaurant. 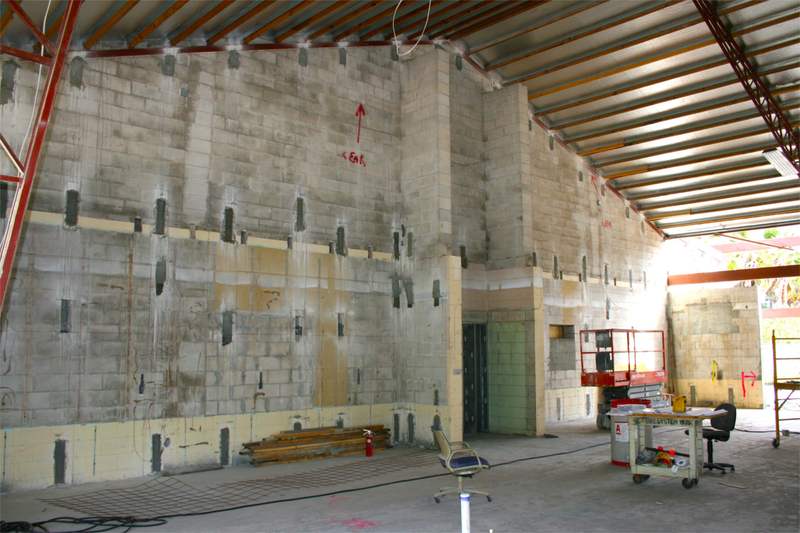 This complete renovation began with selective demolition of the existing building, leaving only the roof, structural frame, and one exterior wall before the renovation began. A 3,750 s.f. pre-engineered building was also added to the existing footprint and porch overhangs were enclosed to provide additional usable space. A large, heavy timber framed, open-air beer garden was constructed to facilitate outdoor seating and amenities. 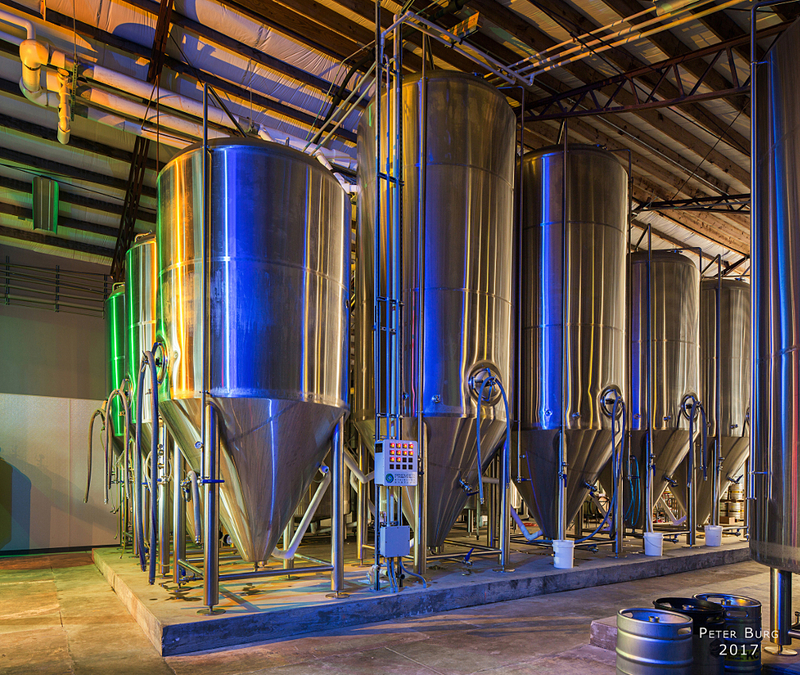 The existing repurposed spaces, along with the added areas, provide a tasting room, restaurant, and microbrewery with the production capacity of 30 bbl. 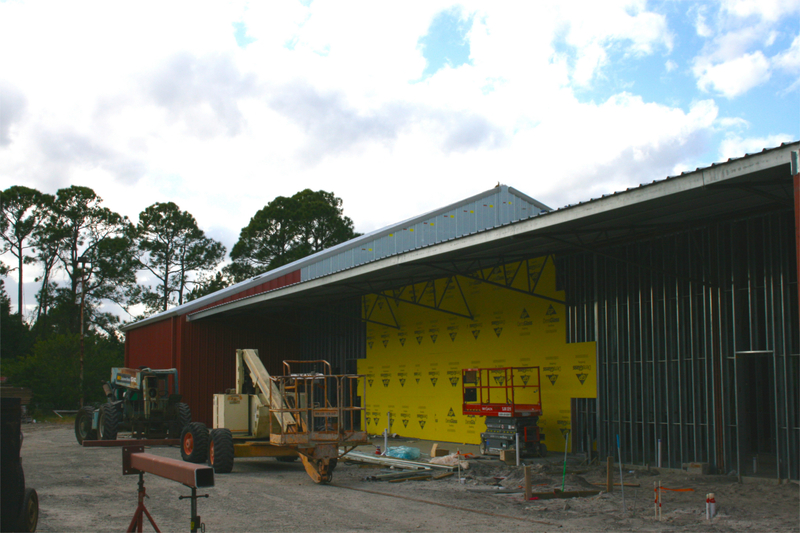 The brewery area includes all of the associated tanks, brew house, grain area with automated feeds, keg washing station, and a drive-in refrigerated cooler. There is also an area for canning/bottling operations. Steps were taken during design and construction to salvage and reuse as much of the materials from the existing building as possible. To that end, metal siding was carefully removed and reused on the new exterior and wood trusses/decking were painstakingly removed, refurbished and reused in many of the interior and exterior elements of the project. The Brix Project_Under Construction_RUSH Construction Inc.